The future represents a number of challenges for global agriculture. As the world’s population is set to reach 9.8 billion by 2050 (currently at 7.7 billion), challenging the global industry to grow more food with less land. 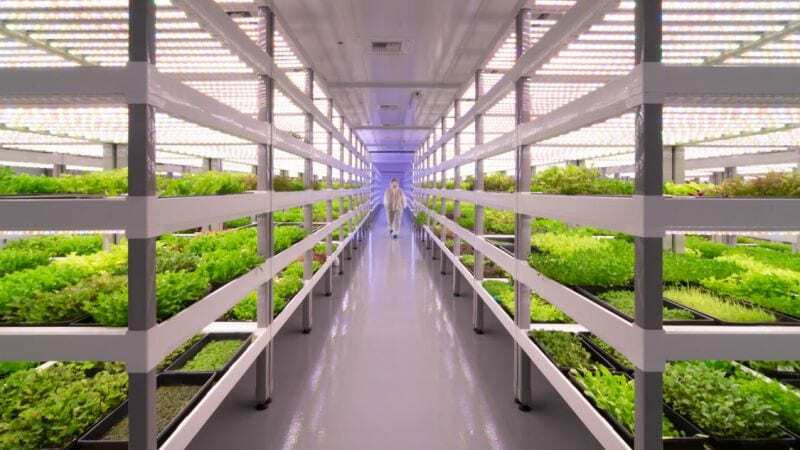 In fact, it’s estimated that food production will need to double in that time in order to meet demand and avoid starvation and social disruption. In addition to a rapidly increasing global population, climate change poses another layer of complexity. Current crop yields will only provide food for half the estimated 2050 population, prompting industry leaders to consider the role of ag tech in filling the significant gap. The ability to refine technology for agriculture’s gain could mean that we have the ability to grow more, without putting further strain on the world’s already stretched natural resources. Given the critical role agtech will play in food security, and ultimately human survival, the industry has attracted a significant string of recent investments. The Investment Corporation of Dubai has invested $203 million in agtech, and Japanese tech giant SoftBank has invested $200 million. Abu Dhabi’s government recently earmarked $272 million for a funding and tax incentive scheme to develop it’s own domestic agtech scene. In 2017 alone, investment in agtech totalled $1.5billion, a record that’s setting the scene for the years to come. There’s a huge range of applications for agtech, including improvements for existing technology, as well as the development of new innovations. The range of ag tech applications is huge, from a dating-style app connecting farmers with breeding stock, wearable technology for livestock, autonomous robotics for cropping, through to the world’s first fully automated farm and the technologies making salmon farms more sustainable. There’s also great scope for technologies such as the Internet of Things, advances in agricultural supply chains and logistics, advances in food labelling and, as we’ve seen in this month’s e-newsletter, the use of virtual and augmented reality for training, education and marketing. And if all that disruption fails to keep agriculture on its toes, the industry also needs to keep up with the changing taste of consumers. Organic and sustainably produced foods, grass-fed, hormone-free meat, an increase in the popularity of veganism and vegetarianism along with concerns about sustainability and the impact of single-use plastic are all contributing to a shift in consumer thinking. Looking at the organics market alone provides an idea of the scope of future opportunities and challenges. The Australian organics market is worth an estimated AUD$2.4 million, an increase of 88% since 2012. In the US, Walmart is one of the largest retailers of organic produce and 1% of US farmland is now certified organic. Retail giant Amazon has recently bought the high-end grocery chain Whole Foods, signalling its confidence in the rise of new consumer trends. It’s one of the most challenging times for agriculture, but also one of the most exciting. With the advent of agtech revolutionising the way food is grown, along with trends like online shopping and delivered groceries, the way we think about food as an industry and as individual consumers could soon be completely turned on its head. Image shared under a Creative Commons license. Monetary values quoted in US$, unless otherwise stated.